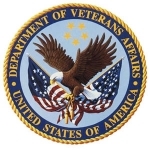 The Department of Veterans Affairs is incorporating mobile technology and devices into their operations, demonstrating that they are up to date on technology. VA is distributing a controlled number (1,000 max) of iPhones and iPads to hospitals that represent a business case of need, such as the D.C. VA medical center. The devices are being used by VA doctors to securely and remotely access a patient’s electronic health record (EHR). The mobile app enables a physician to have information about the patients to be seen that day, and helps with rounds.